The raw potential of this property offers an exceptional for the purchaser to create an inspired design utilizing the original footprint of the current dwelling. Well positioned within this tree line street. This property is the perfect opportunity for you to rejuvenate a once much-loved home and create your abode of peace in this sought-after location. Alternatively, you may decide to knock it down and create a masterpiece fit for a king. The property also has a stand-alone room at the back of the property. * Bush-like setting around the property. * Two car garage + 2 carport as well. 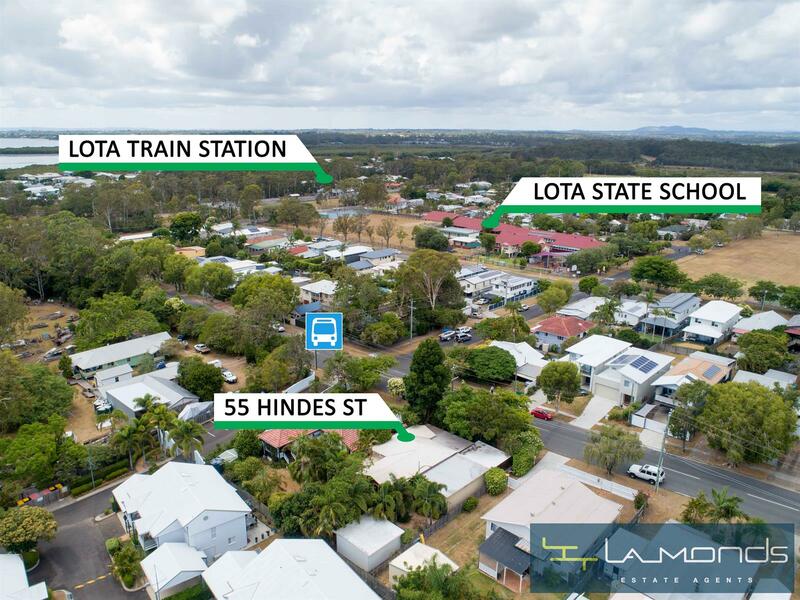 Conveniently located near schools, parklands, and walking distance to the train, shops, and a 5 minute walk-to the foreshores of Lota where you can swim, fish and much more.